Here’s our Newsletter from 24 January 2019. If you’d like to receive our weekly Newsletter into your inbox, just sign up here! // The Islington Mill Art Academy / MMU PhD opportunity generated dozens of applications from across the world, plus many enquiries about how to get involved and learn more about IMAA. We were thrilled. If you’ve applied, best of luck. // Arts Council England have produced a guide for arts organisations navigating a No-Deal B-word and it’s a tough read. 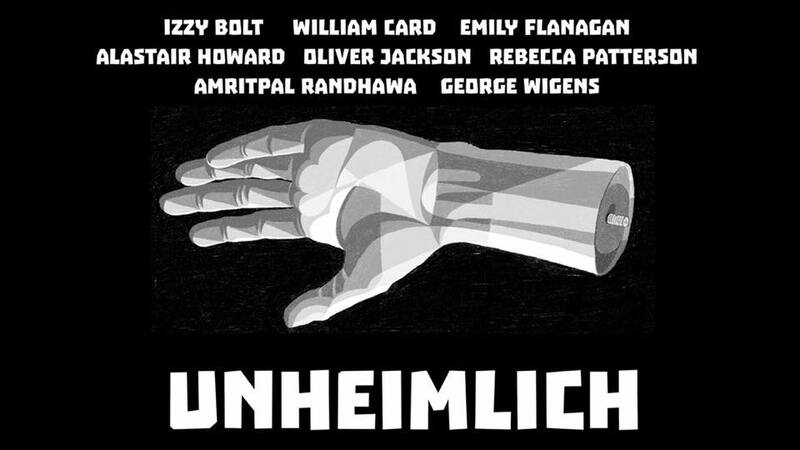 // 24 Jan: UNHEIMLICH: Natasha Kay-Sportelli curates a 8-person show at Unit 2, Regent Trading Estate, exploring/creating uncanny/liminal experiences. Artists engage with digital/urban aspects of disassociation in diverse works. // 24 Jan: FatOut @ Band on the Wall feat. Fofoulah, Trianglecuts, Errant Monks, Sarah Yaseen & Locean. // Until 26 Jan: Distorted Constellations with Nwando Ebizie. Caustic Coastal host a series of performances using dance, music, light and ASMR, drawing on a range of influences including myth, African ritual and neuro-divergency. Part of PUSH Festival. // 29 Jan: Ludo Is Fantastic delves into the world of Ludo Mich, eccentric Antwerp artist, in Willie Stewart’s documentary at The Kings Arms, Salford with impaTV. Meet the director to chat about this unique man/film. // 30 Jan: Mill artist Jo Clements shows work as part of a micro-commission awarded by Axisweb at Unit 63, Bishopgate, The Ridings, Wakefield. Preview 30 Jan to coincide with Wakefield Artwalk. Exhibition continues 12-4pm until 2 February and 4–9 Feb by appointment. Read more. // 1 Feb: Into the Midst: new work by Joseph Whitmore at Sale Waterside Arts touches on digital/human interface. Preview 6pm, 31 Jan.
// 2 Feb: Salford Makers keep their workshop programme rolling with a silk scarf screen-print session. Wrap up! // 6 Feb: Beginner’s guide to documentary film-making. Learn new skills in shots, interviews, storytelling and more with experienced TV/film artist, Donna Wood. Part of Islington Mill Art Academy workshop programme. Read more. // 27 Feb: Social Art Network Manchester: Emerging from discussions at The Social Art Summit, this is a meet-up for anyone interested in social art. A chance to explore with peers what it means to be making art through social engagement right now.